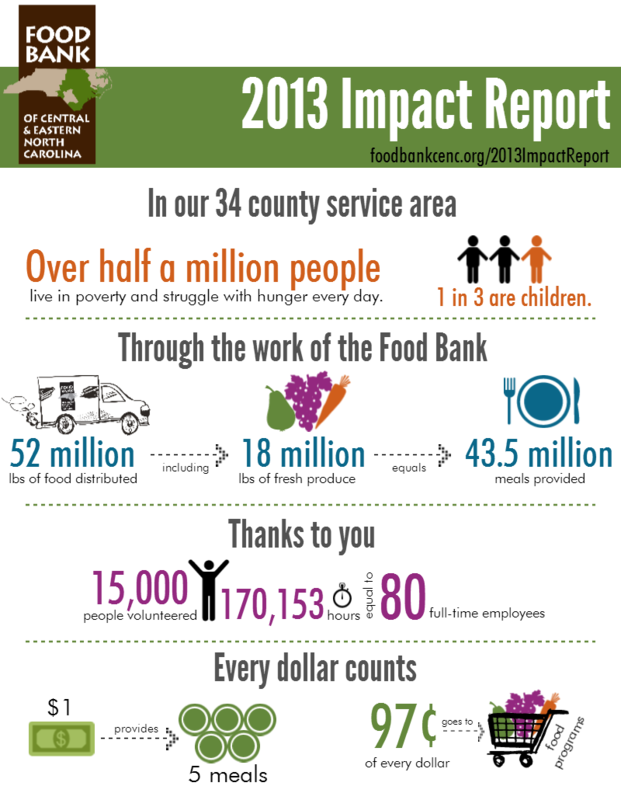 The Food Bank produces an Annual Report, or Impact Report, every year. The report includes comprehensive information about our activities and financial performance from the year prior, and is a simple way to see how your generous donations helped the community–how you made a difference. And our latest report is in! Check it out: View the full 2013 Impact Report. View the full 2013 Impact Report.